Hardwood floors look beautiful and can last for decades. However, the unsung hero in flooring is the subfloor that lies beneath the surface. Having proper subfloors is crucial to the look and function of the floors that sit above them. When subfloors weaken, they can become slanted, and the entire floor can be adversely affected. It is important that subfloors remain strong and level to retain their usefulness. 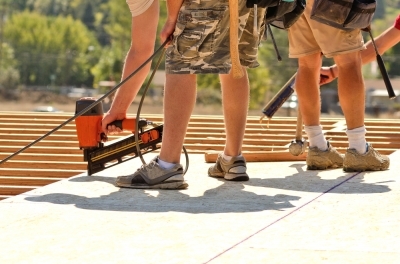 Following are five important reasons for subfloor leveling and repair. 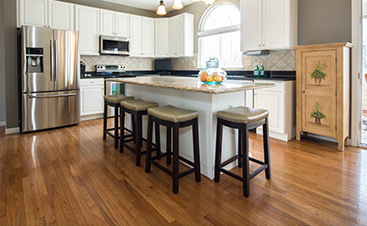 Hardwood floors alone can add a significant amount of value to a home. Most people consider hardwood floors to be an upgrade and are generally willing to pay extra money for a house that already has them installed. Homeowners who install hardwood floors themselves instantly increase the resale value of their home and likely see that value reflected in the price of the home if they decide to sell. Since hardwood floors carry such great monetary value, it is important to keep them in good repair. Part of the responsibility of keeping a hardwood floor in good repair is to take proper care of the subfloor as well. Even though it is not seen by anyone, it affects every aspect of the floor. Therefore, if the subfloor is weak or not level, a homeowner should take the time and effort to have it leveled or otherwise repaired. If a subfloor gets weak, it can lead to several issues. The floor will not be as sturdy as it should be. It can lead to the floor creaking and squeaking whenever someone steps on the affected areas. Weak subfloors can also cause a hardwood floor to develop a squishy or bouncy feeling. Although these issues are not dire, the effects can be bothersome. An issue will not go away by itself if it is simply ignored by the homeowner. Rather, it can continue to fester and will likely become worse over the course of time. The better solution is to fix the origin of the issue, which is the subfloor. Once the subfloor is repaired and brought back to its original strength, the annoying creaks and squeaks will be part of the past. A level subfloor keeps the floor above it level, too. Even though no one ever sees the subfloor once hardwood flooring is installed over it, it is important that the subfloor is level. If there are dips, humps, or other inconsistencies in the subfloor, they will also appear in the overall appearance of the hardwood floor. Not only is this look aesthetically unappealing, but it is also unsafe. The subfloor can have leveling issues for a number of reasons. Age can be a common culprit, as can heavy use. A subfloor can also be uneven if it is not installed properly. Regardless of the reason for the inconsistencies in the evenness of the floor, it is best to fix the issue as soon as possible. Although it is possible for a homeowner to make the repairs as part of a DIY project, taking that route can cause more problems if the homeowner is not a skilled flooring installer. A repair of this magnitude is better left to professionals. 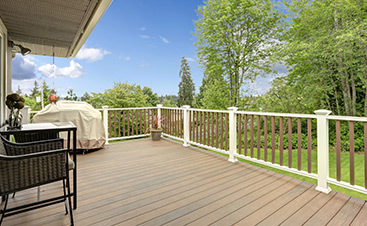 One of the most obvious reasons for repairing or leveling a subfloor is aesthetic appeal. If the subfloor is uneven, rotting or otherwise damaged, it will have a profound impact on how the floor that is laid over it looks. It is a common mistake for a homeowner to assume that the subfloor can be left alone since it is not visible to those who are in the house. However, the subfloor is the basis for the appearance of the floor. Any marks, dips, or crevices will come through and alter the appearance of the floor. Although minor issues can be hidden with throw rugs or strategically placed furniture, those solutions do not fix the issue. They merely hide the problem. When the rugs are removed, or the furniture is moved, the flaws are still there for everyone to see. It is a far better to opt for the permanent solution of repairing the subfloor. Hardwood floors are designed to last for many years. One of the reasons so many homeowners opt for hardwood floors is that they likely will never have to worry about making a new flooring choice again. A major component to the longevity of a hardwood floor is the condition of the subfloor underneath it. If the subfloor is in a state of disrepair, it will adversely affect the longevity of the floor. Repairing the subfloor can add years to the life of the hardwood floor that sits on top of it. 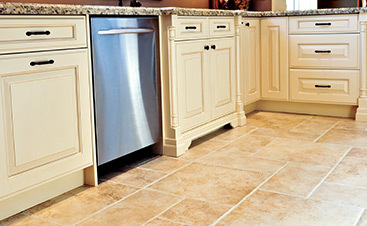 Subfloors are more important than most homeowners realize. Since they do their work below the surface, people do not always realize the true value of a subfloor until it starts to have issues. Don’t ignore your uneven or failing subfloor. Make the necessary repairs early before minor annoyances become huge problems.